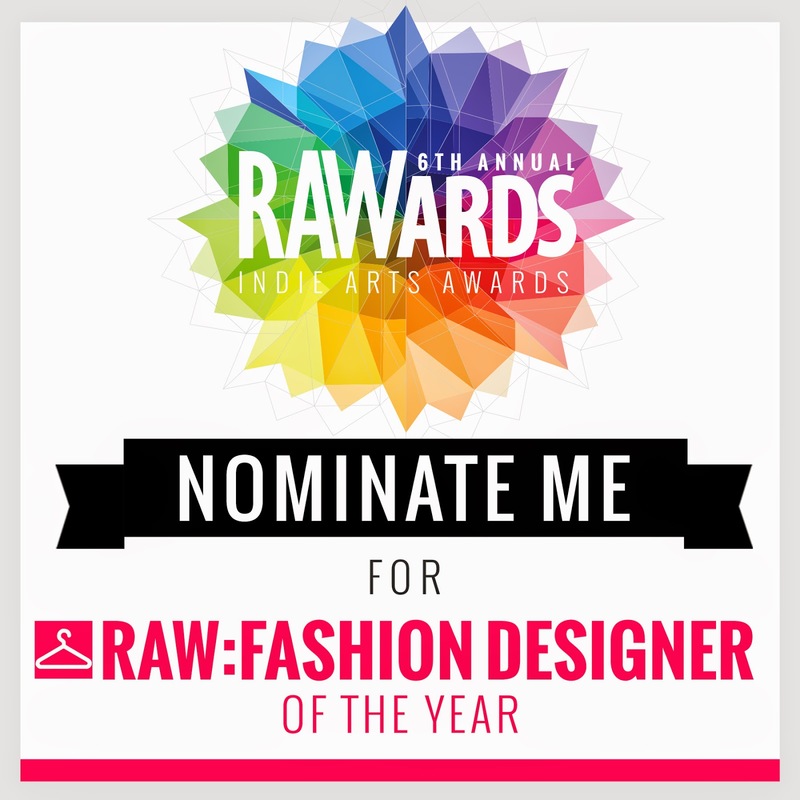 Robot Luv is a finalist for Fashion Designer of the Year in RAW artists 6th annual awards! 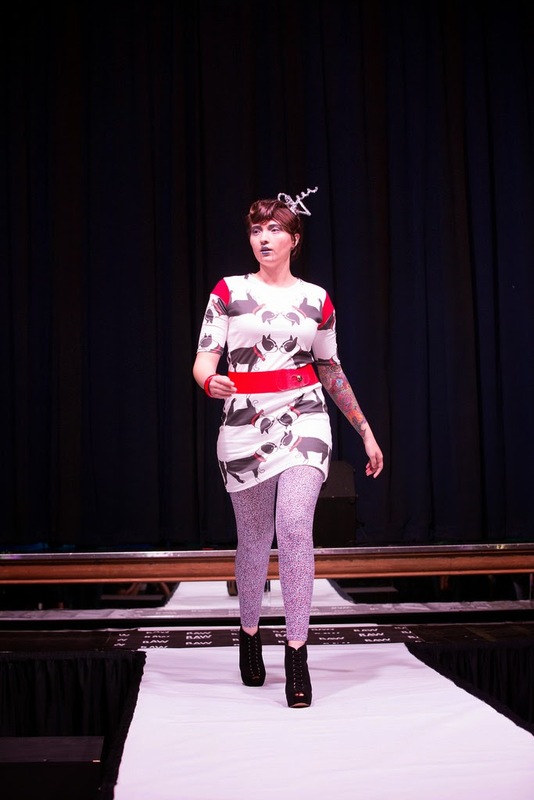 I have just learned that Robot Luv is now a finalist for Designer of the Year in Raw artist's 6th annual awards! This is such great news! Robot Luv will represent Omaha and Nebraska for the title. 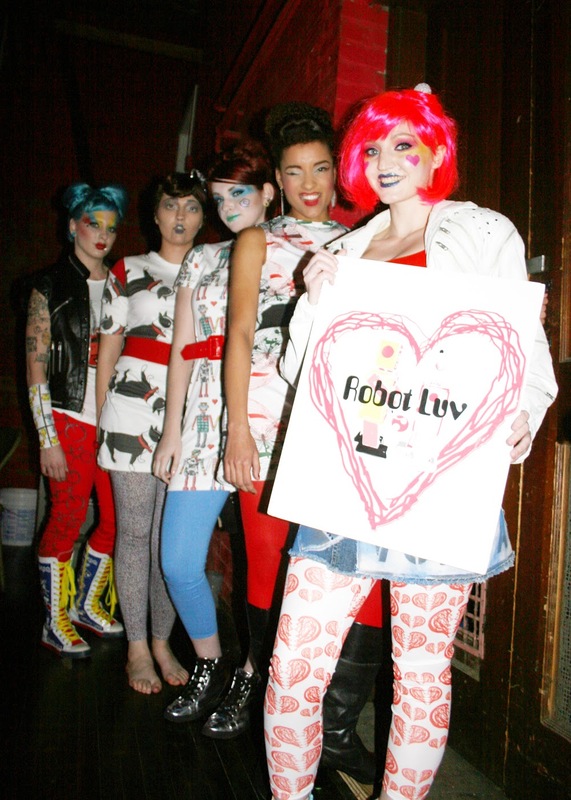 Robot Luv will compete with 38 other finalists across the U.S. in the category of fashion design. 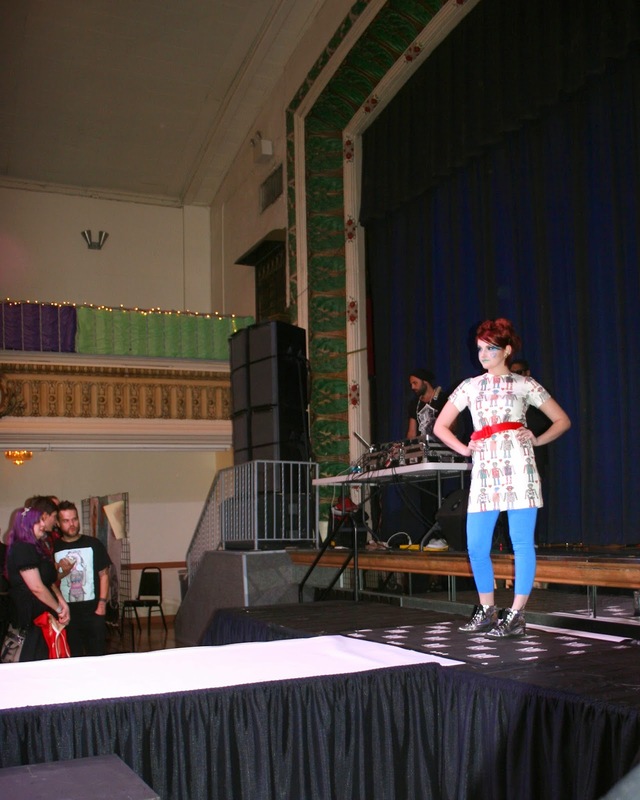 Here are some highlights from the runway. 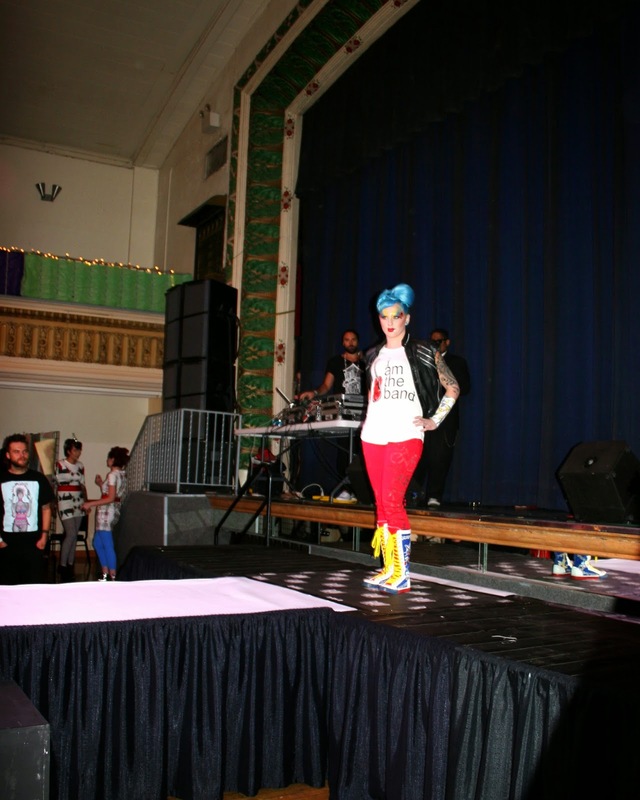 Carly leads off the show in custom high voltage skirt, broken heart leggings and Robot Luv footwear . 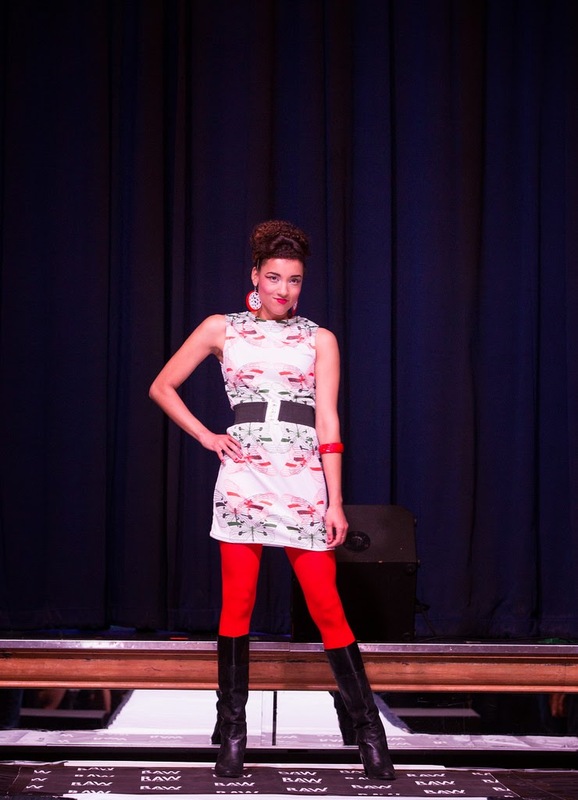 Tori in Boston Terrier Dress. 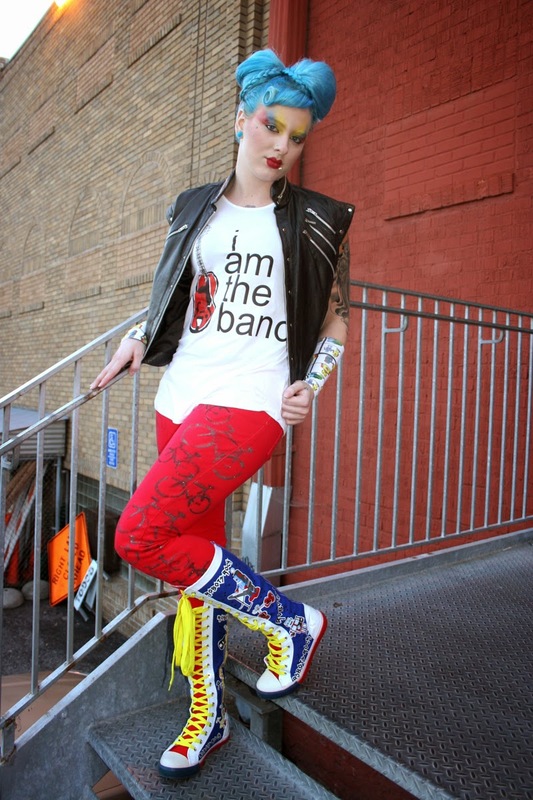 Kaya V. wears "I am the band" t-shirt, hand stenciled bike pants and Robot Luv Robots Rock boots. 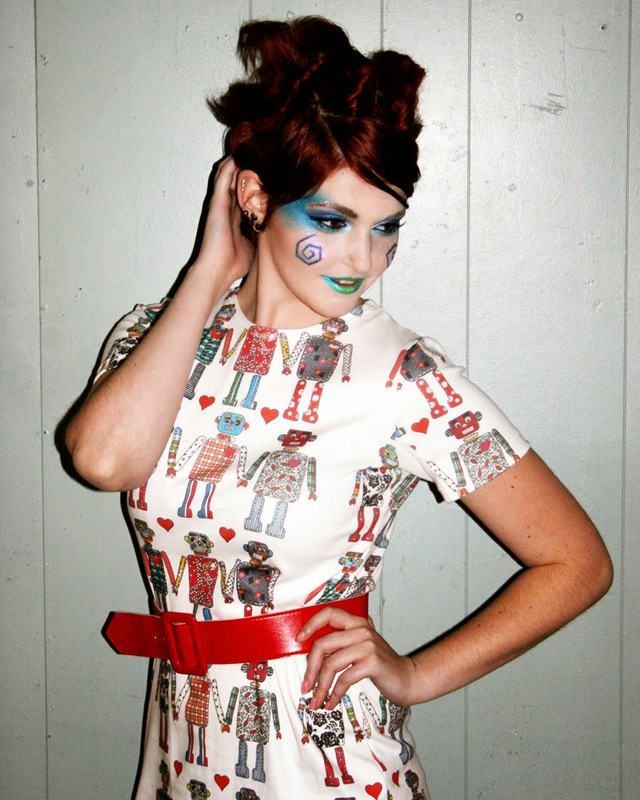 Kayla B wears signature Robot Girls pattern dress. 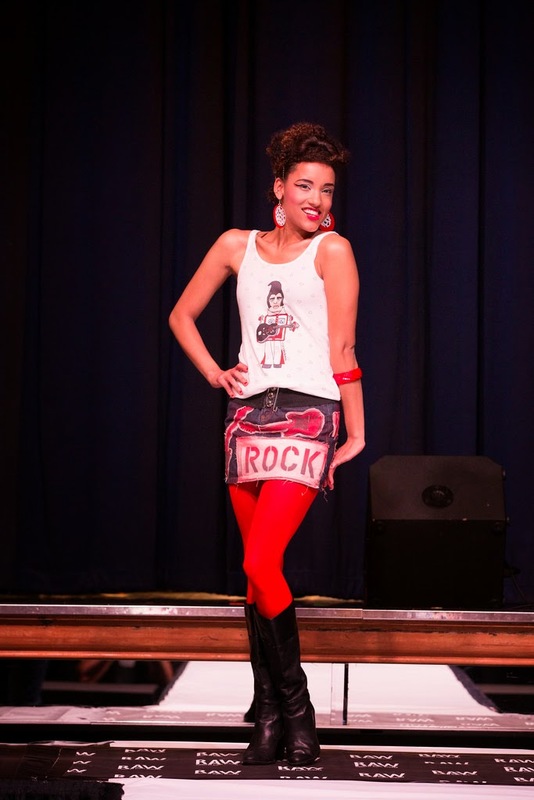 Melanie in Robot Rockabilly tank and hand stenciled rock denim mini. 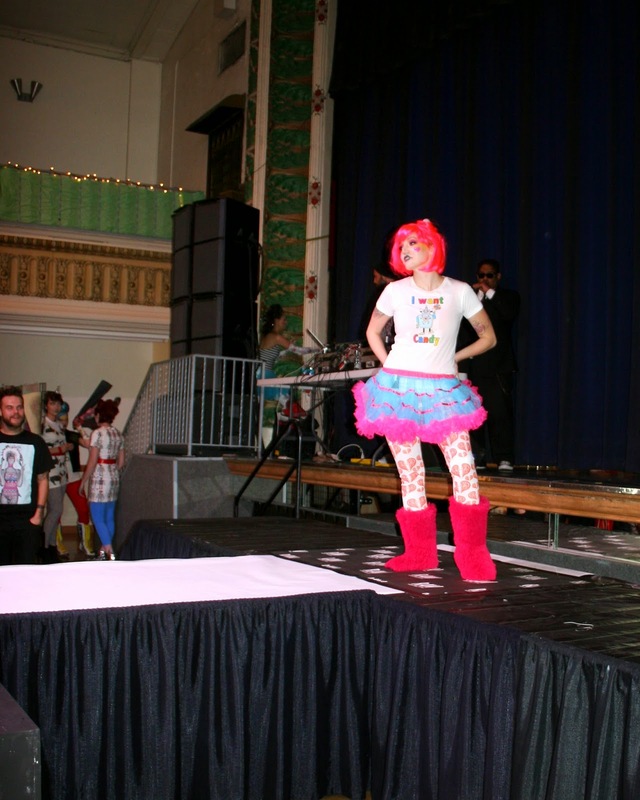 Carly in I want candy robot t-shirt, harajuku skirt, broken heart leggings and pink faux fur boots. 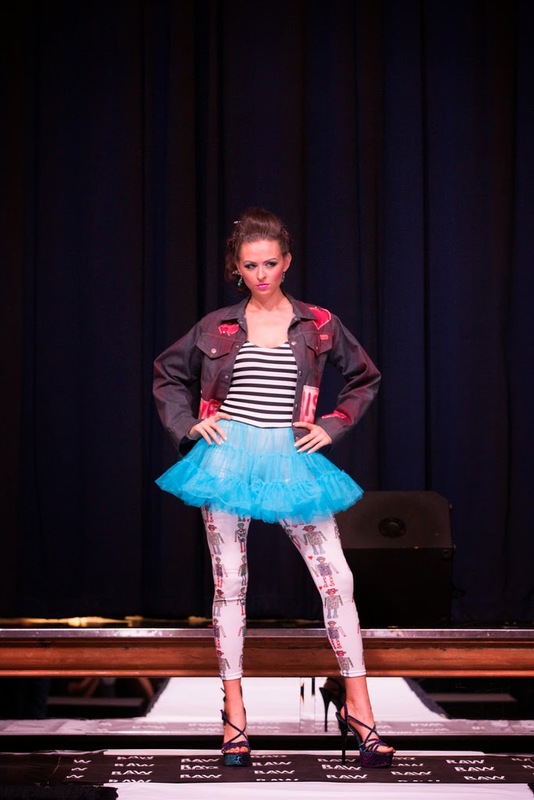 Kiley in Robot Luv jacket and robot girls leggings. There you will find photos and a show video. Raw Artist Awards and fashion shoot. 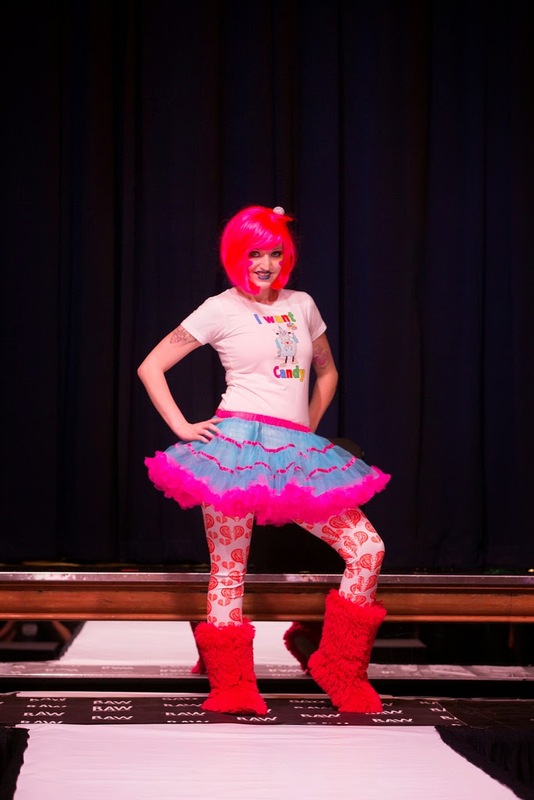 Robot Luv is looking for your support! 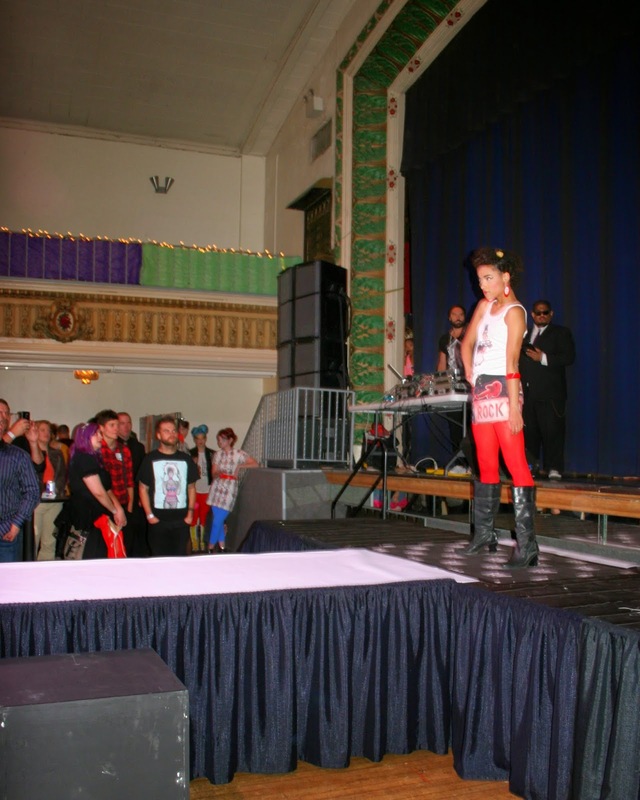 The 6th annual Raw Awards voting is going on now! 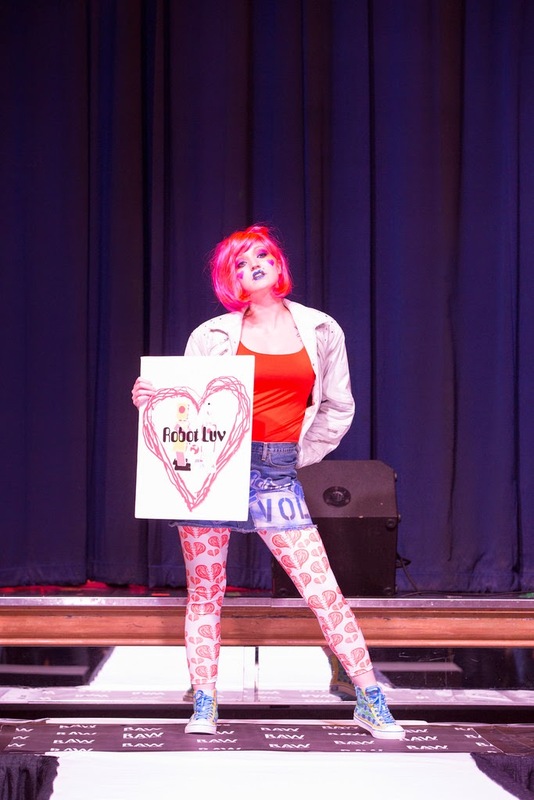 Robot Luv needs your vote! 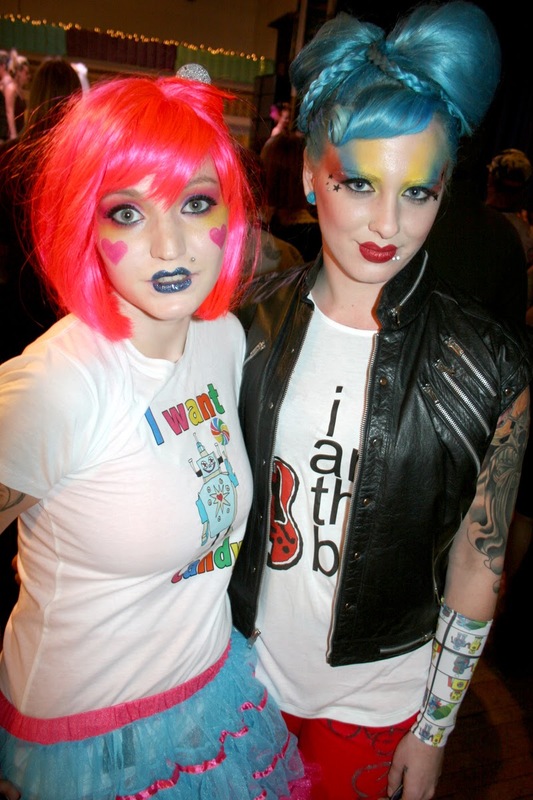 You can go to: http://www.rawartists.org/robotluv to vote! You can vote more than once so please do! Last fall I was asked to become a Raw Artist. 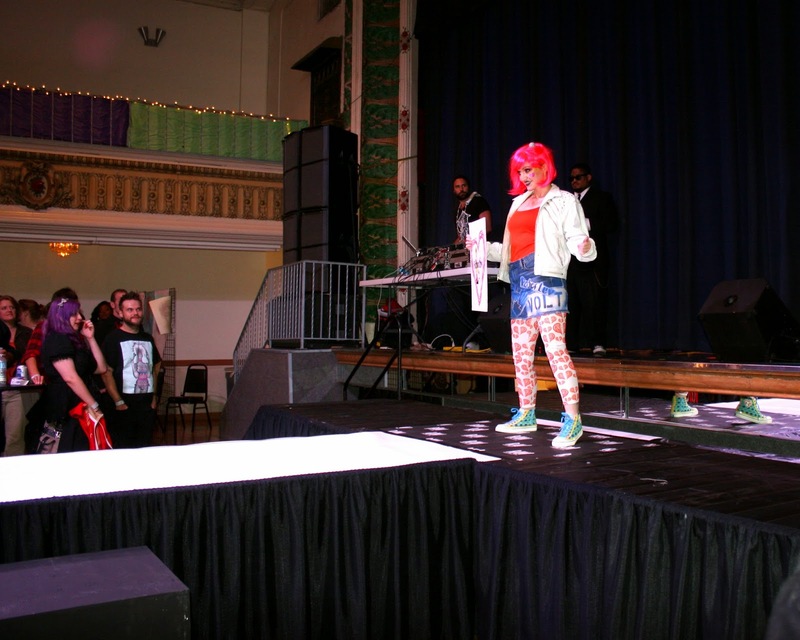 Raw is an organization that helps artists promote themselves by hosting showcases that all kinds of artists can participate in, visual artists, fashion designers, hair stylists, make-up artists, performance artists and musicians. 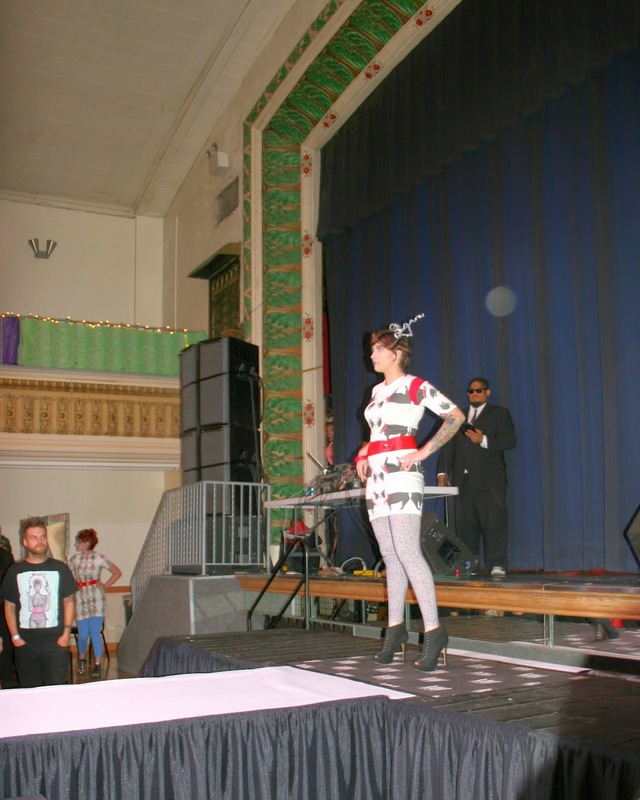 Robot Luv participated in an October showcase as both a visual artist and the fashion show. 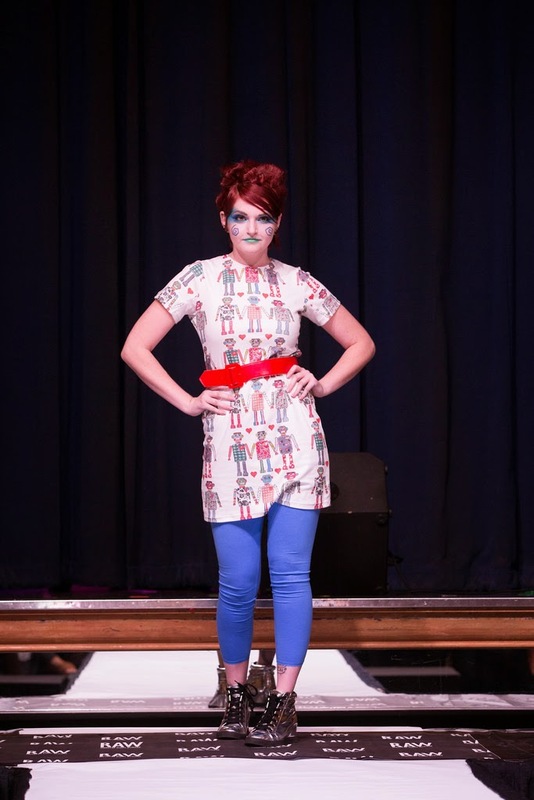 The fashion show featured new looks for Robot Luv including debuting pattern desses and leggings. 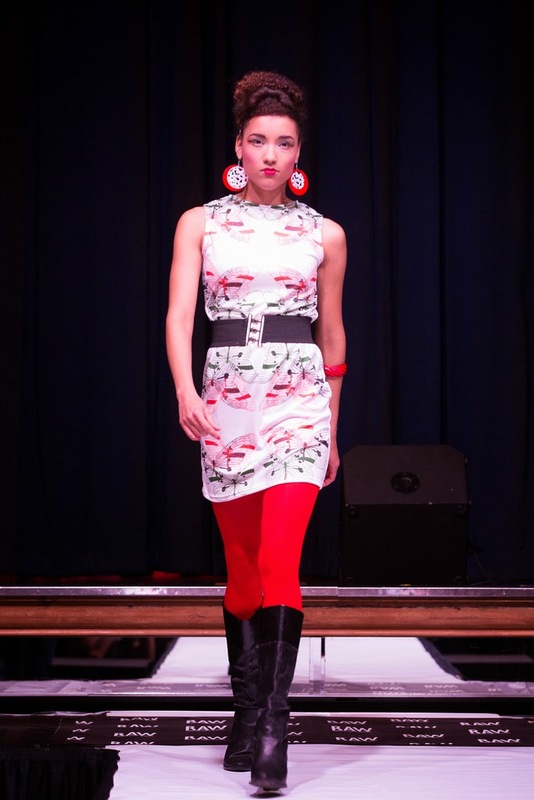 The overall look of Robot Luv's brand in the raw fashion show was very much an urban street wear style. 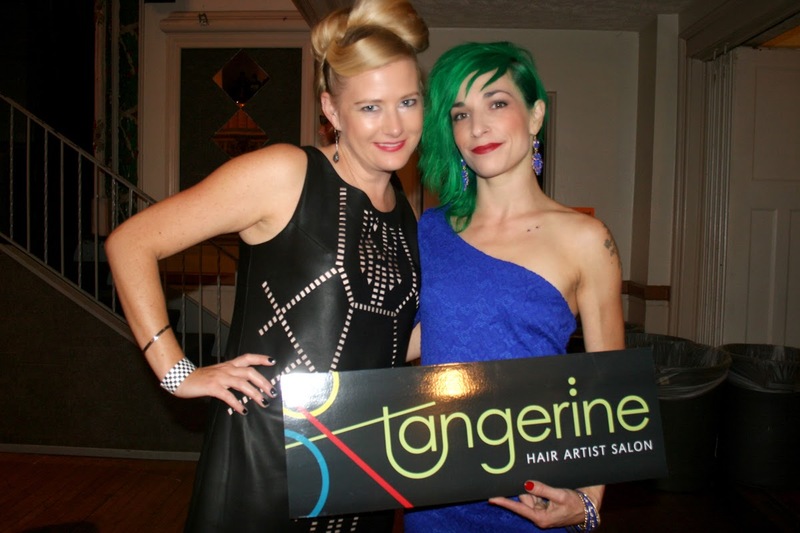 The looks are ready to wear for Spring/Summer 2015. 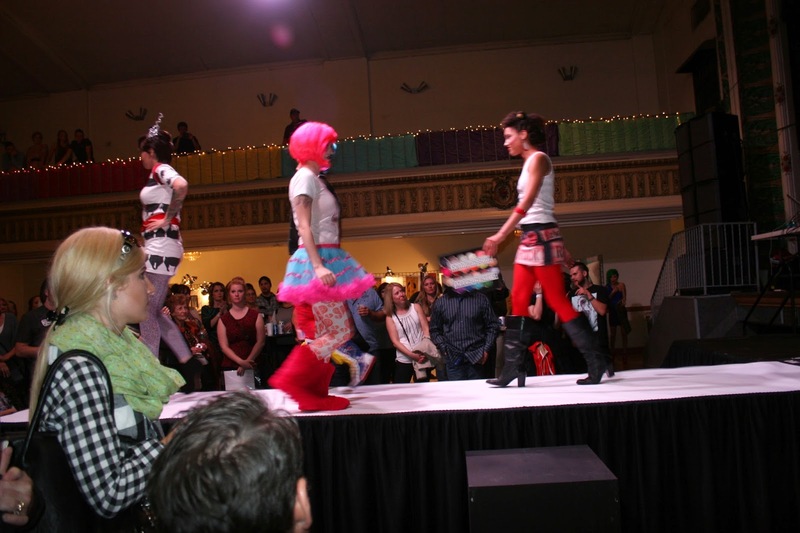 "For me as an artist and designer this show really got me to see my pieces put together into looks and to send them down the runway was a real thrill." 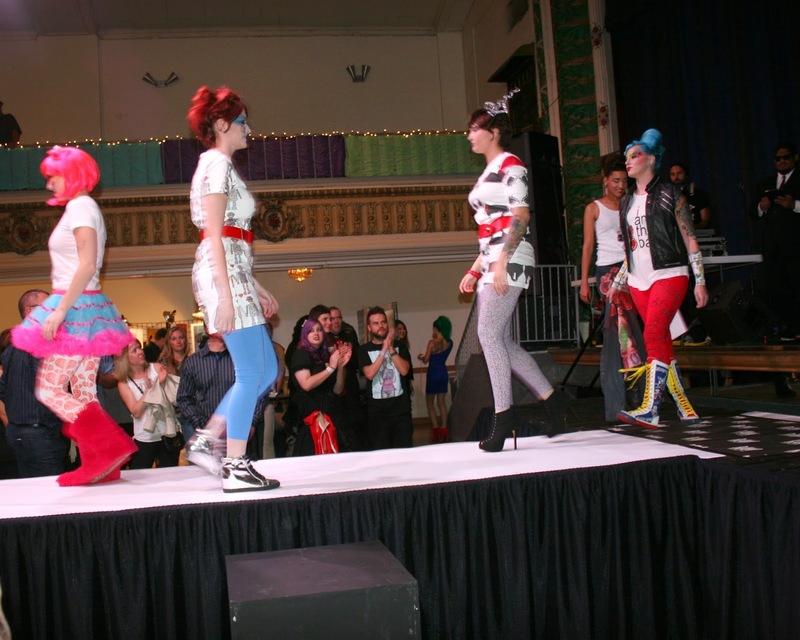 The dresses were an exciting addition to Robot Luv's fashion, each had an individual cut and style to it, from the upscale delicate butterfly pattern, to the harajuku robot girls pattern dress to the funky boston terrier dress as represented wonderfully by the models. 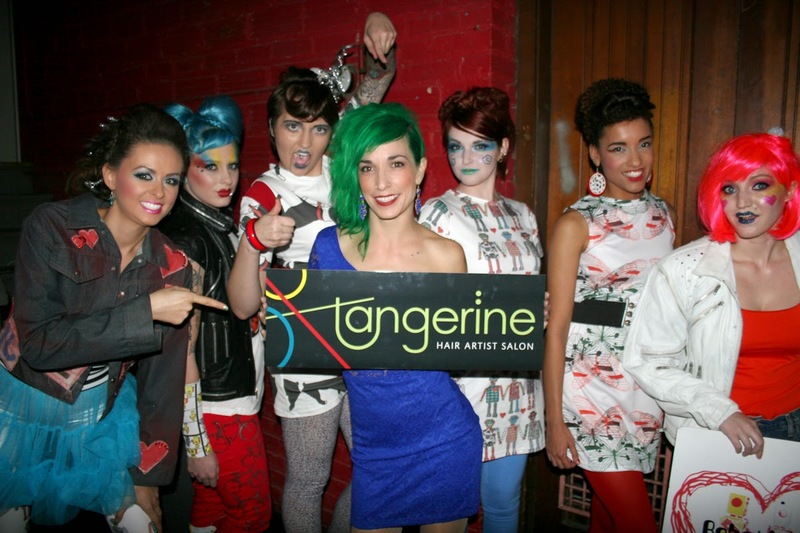 The Raw Artist Omaha showcase was a great experience and I would like to thank Kathleen Song- Makeup and Ciara Lace at Tangerine Hair Salon for making my models look so great! 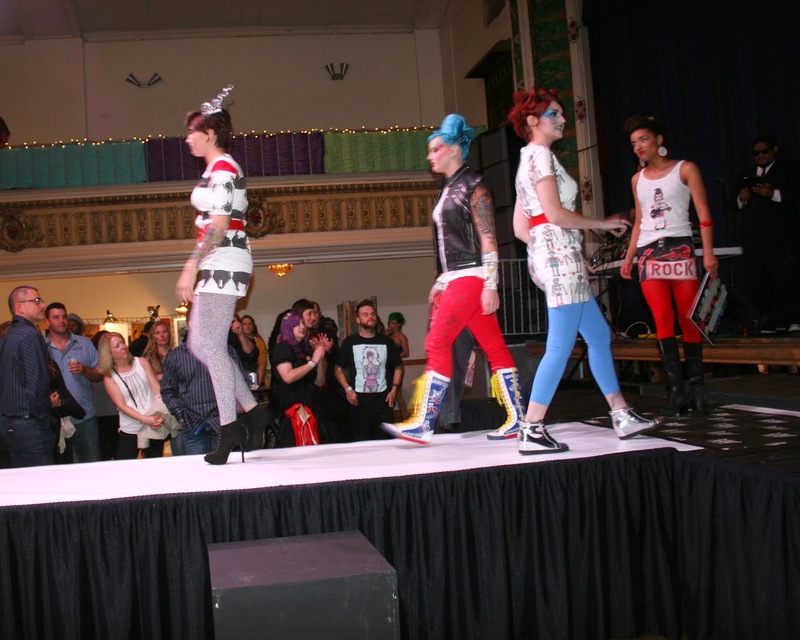 I would also like to thank my models Kayla B, Kayla V.,Tori, Kiley, Carly and Melanie. 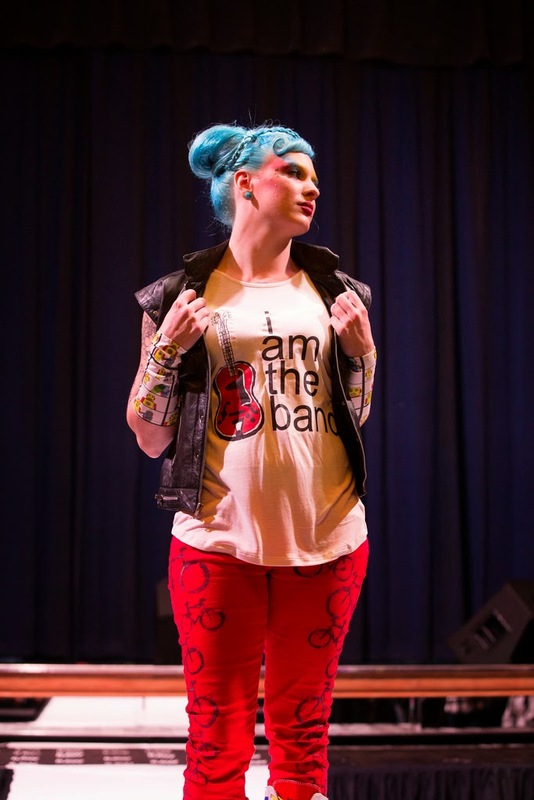 Lastly I'd like to thank Amber Keller for asking me to join the Raw Artists community. Robot Luv is currently seeking world class licensee partners to extend our lifestyle brand and attitude into new countries, categories and channels of distribution. 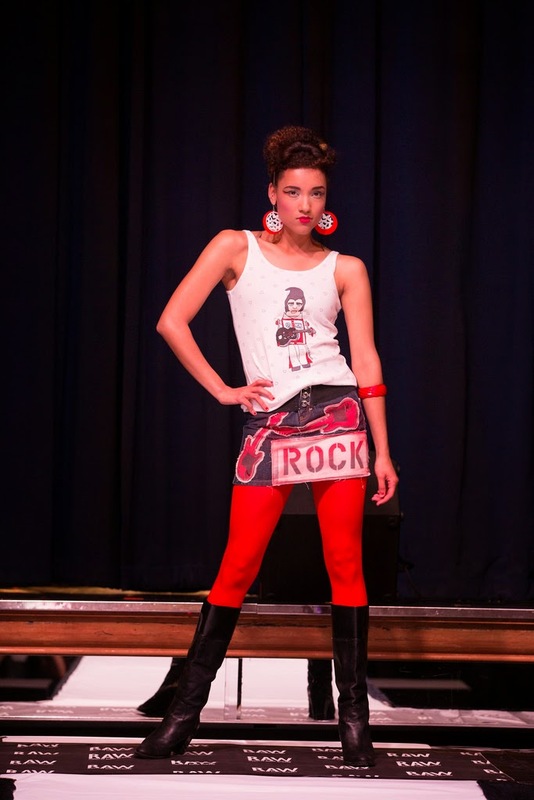 We have an extensive portfolio of Robot Luv graphics that will propel sales of all types of apparel, footwear, accessories, backpacks, socks, hats, bedding, housewares, stationary/pens, skateboards etc. Carrie Masters can customize new graphics to add to the portfolio so that new material and exclusive material can be made available.